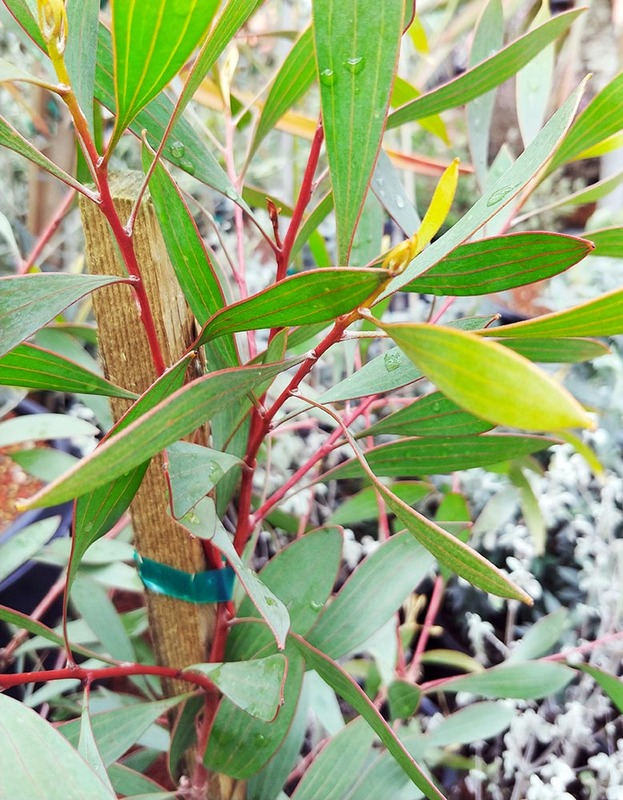 Large upright shrub with slender green leaves and red blooms winter through spring. Needs very good drainage. Do not fertilize, except trace minerals.